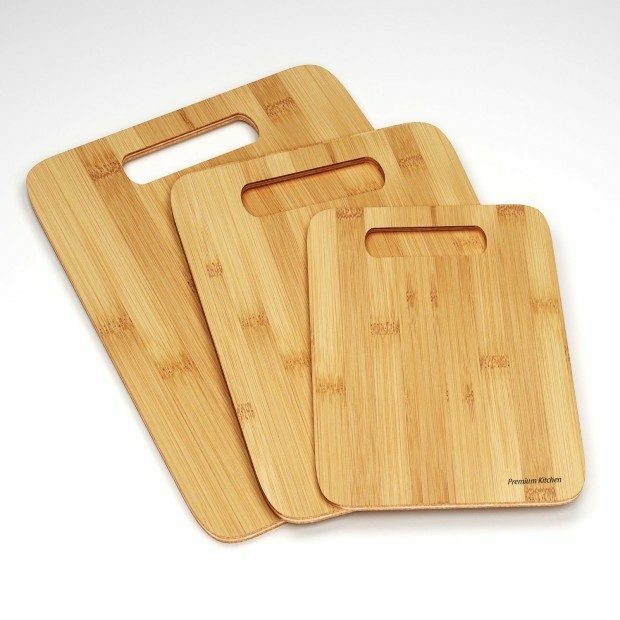 Premium Kitchen 3 Piece Bamboo Cutting Board Set Only $13.99! You are here: Home / Great Deals / Amazon Deals / Premium Kitchen 3 Piece Bamboo Cutting Board Set Only $13.99! These well-made natural bamboo cutting boards are ideal for all your cutting board uses! These boards won’t warp, crack, split, or chip! Bamboo naturally resists bacteria to keep your family healthy. Get your Premium Kitchen 3 Piece Bamboo Cutting Board Set for Only $13.99!